9 Then Moses and Aaron, Nadab, and Abihu, and seventy of the elders of Israel went up, 10 and they saw the God of Israel. Under his feet there was something like a pavement of sapphire stone, like the very heaven for clearness. 11 God did not lay his hand on the chief men of the people of Israel; also they beheld God, and they ate and drank. 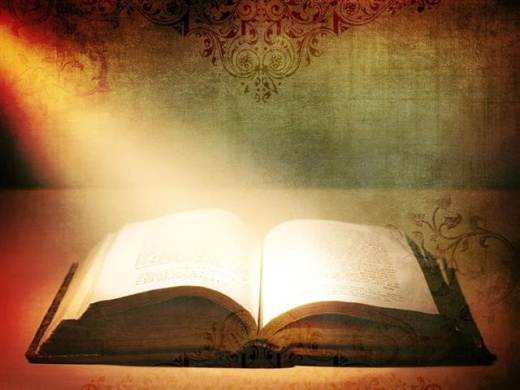 12 The Lord said to Moses, “Come up to me on the mountain, and wait there; and I will give you the tablets of stone, with the law and the commandment, which I have written for their instruction.” 13 So Moses set out with his assistant Joshua, and Moses went up into the mountain of God. 14 To the elders he had said, “Wait here for us, until we come to you again; for Aaron and Hur are with you; whoever has a dispute may go to them.” 15 Then Moses went up on the mountain, and the cloud covered the mountain. 16 The glory of the Lord settled on Mount Sinai, and the cloud covered it for six days; on the seventh day he called to Moses out of the cloud. 17 Now the appearance of the glory of the Lord was like a devouring fire on the top of the mountain in the sight of the people of Israel. 18 Moses entered the cloud, and went up on the mountain. Moses was on the mountain for forty days and forty nights. 2:8 See to it that no one takes you captive through philosophy and empty deceit, according to human tradition, according to the elemental spirits of the universe, and not according to Christ. 9 For in him the whole fullness of deity dwells bodily, 10 and you have come to fullness in him, who is the head of every ruler and authority. 11 In him also you were circumcised with a spiritual circumcision, by putting off the body of the flesh in the circumcision of Christ; 12 when you were buried with him in baptism, you were also raised with him through faith in the power of God, who raised him from the dead. 13 And when you were dead in trespasses and the uncircumcision of your flesh, God made you alive together with him, when he forgave us all our trespasses, 14 erasing the record that stood against us with its legal demands. He set this aside, nailing it to the cross. 15 He disarmed the rulers and authorities and made a public example of them, triumphing over them in it. 16 Therefore do not let anyone condemn you in matters of food and drink or of observing festivals, new moons, or sabbaths. 17 These are only a shadow of what is to come, but the substance belongs to Christ. 18 Do not let anyone disqualify you, insisting on self-abasement and worship of angels, dwelling on visions, puffed up without cause by a human way of thinking, 19 and not holding fast to the head, from whom the whole body, nourished and held together by its ligaments and sinews, grows with a growth that is from God. 20 If with Christ you died to the elemental spirits of the universe, why do you live as if you still belonged to the world? Why do you submit to regulations, 21 “Do not handle, Do not taste, Do not touch”? 22 All these regulations refer to things that perish with use; they are simply human commands and teachings. 23 These have indeed an appearance of wisdom in promoting self-imposed piety, humility, and severe treatment of the body, but they are of no value in checking self-indulgence. Lord, thank You for the gift of this day. Whatever happens to me today, help me to consider today a blessing, for the mere fact that You’ve given me another day of life. Help me to carry my cross (name your crosses) with strength, with humility and with confidence. Help me to deny my own desires and to seek after Your commandments. Help me to be a good follower. Help me to do these things today, and then tomorrow, and then the next day, for as many days as You will give me in my life to carry my cross and follow. As Your cross lead you not only to crucifixion but to Resurrection, help me to carry my cross not only in this life, but into Eternal Life. Matthew 16:24-25 (NIV) Then Jesus said to his disciples, “Whoever wants to be my disciple must deny themselves and take up their cross and follow me. For whoever wants to save their life will lose it, but whoever loses their life for me will find it. What comes to mind when you see a cross? Maybe you think of it as the symbol of the church or of Christianity. For many, the cross is a fashion accessory or maybe even a tattoo. The early church, however, did not use a cross as their symbol; they used the fish as their symbol. The early church did not wear crosses; they died on crosses. It was an upsetting, shocking image. In the first century, people who lived in any area occupied by the Romans knew about crosses, because the Romans had a penchant for crucifying people. Crucifixion was not an efficient way to put a person to death. There were far more effective ways. The Romans used crucifixion as a means of torture. They used it to inflict the maximum amount of pain. They crucified people and put them on public display to serve as a warning to anyone who would dare defy the power of Rome. That’s why Jesus said, “Whoever wants to be my disciple must deny themselves and take up their cross and follow me” (Matthew 16:24). It was an alarming way to phrase it. And it meant one thing: death. That sounds pretty unappealing. You imagine yourself living a miserable, sacrificial life—an unhappy life. But Jesus went on to say, “For whoever wants to save their life will lose it, but whoever loses their life for me will find it” (verse 25). The fact of the matter is that when you’re truly taking up your cross, you’re experiencing life. The objective is not to learn to love yourself; it is to deny yourself. If you actually want to find yourself, then lose yourself. And how do you lose yourself? You take up your cross and follow Him. Lord, thank You for the gift of this day. Whatever happens to me today, help me to consider today a blessing, for the mere fact that You’ve given me another day of life. Help me to carry my cross (name your crosses) with strength, with humility and with confidence. Help me to deny my own desires and to seek after Your commandments. Help me to be a good follower. Help me to do these things today, and then tomorrow, and then the next day, for as many days as You will give me in my life to carry my cross and follow. As Your cross lead you not only to crucifixion but to Resurrection, help me to carry my cross not only in this life, but into Eternal Life. Amen. Scripture taken from the Holy Bible, New International Version®, NIV® Copyright ©1973, 1978, 1984, 2011 by Biblica, Inc.® Used by permission. All rights reserved worldwide. Devotion by Harvest Christian Fellowship; all rights reserved. The unexpected benefit of a sacrificial life. Entonces ustedes me invocarán, y vendrán a suplicarme, y yo los escucharé. Me buscarán y me encontrarán, cuando me busquen de todo corazón. Cuando tenemos días felices en los que todo nos sale bien, es cuando menos pensamos que estamos refugiados en los brazos del Padre. Eso sucede porque casi siempre que las cosas están en orden, lo que menos buscamos es su compañía. Muchas veces estamos tan organizados que pueden pasar días sin que oremos, sin que vayamos a la iglesia, solo porque todo está en orden. Sin embargo, ¿qué tal si a este cuadro le agregamos la preocupación y los problemitas económicos que no faltan? Ahí es cuando empezamos a clamar por su ayuda. Dios no solo debe ser nuestro refugio en la soledad, ni en los momentos de preocupación. Él quiere ser nuestro refugio en todo momento. Debemos estar más cerca que nunca de Él cuando nos encontremos en medio de la celebración por el triunfo del éxito y las muchas bendiciones. No seamos interesados en nuestra búsqueda de Dios. Él es y será nuestro dulce refugio. Dios no solo debe ser nuestro refugio en la soledad, ni en los momentos de preocupación. 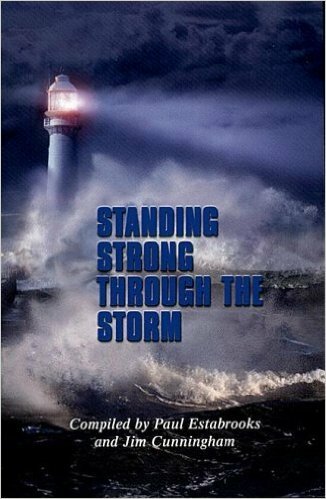 Stand firm then…with the breastplate of righteousness in place. The soldier’s breastplate of the Roman times was to protect his vital organs. It was usually made of hardened slabs of leather or pounded bronze or a combination of both. The soldier’s rank and his country’s seal were affixed to it. It covered the soldier’s chest and stomach but not his back. So it was designed to face the enemy, not for retreat from the enemy. Because we are waging a war against an invisible enemy, we must always be armed. Our breastplate is made not of heavy metal but is molded by the Spirit of the living God to fit us properly in our inner being. Our righteousness is not a metal front, but given by Christ to show to everyone in all our day-to-day relationships and circumstances. Our enemy will point out your failures and shortcomings. He will try to convince you that you are unworthy to be a child of God. He is right. But your relationship with God is based on Jesus’ uprightness before God, not yours. Your sins have been wiped out. When God sees you, he sees Jesus. 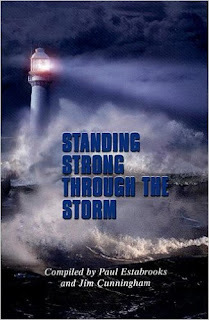 Stand tall before the enemy…in your breastplate of righteousness. RESPONSE: Today I put on the breastplate of righteousness…protected under the blood of Jesus Christ. PRAYER: Lord, may my breastplate of righteousness guard my heart from evil so I will remain pure and holy in the face of trials. His name means: "The Name of God"
His work: Priest, prophet, and judge, Samuel helped transform Israel from a nation led by charismatic figures called "judges" to one ruled by kings, who were to exercise their authority not as other kings did, but as men who belonged to God. He anointed Israel's first two kings: Saul and David. His character: Samuel was eager to hear God's voice and willing to speak his word, even when doing so meant rebuking a king and risking his life. A spiritual leader who won military victories against the Philistines, he reminded the people of God's faithfulness and of the vital importance of their obedience. Sadly, he failed to pass on these same character traits to his sons, who acted corruptly as judges in his stead. His sorrow: That Saul, Israel's first king, failed to obey God. His triumph: To help shape Israel into a monarchy whose kings were to be God's servants. 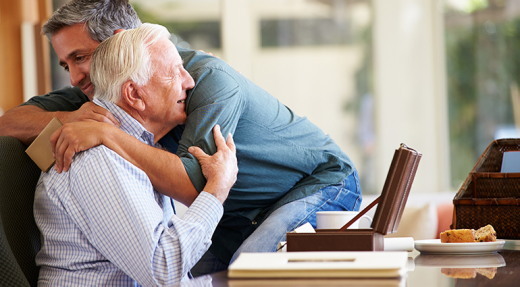 Years had passed since the death of Eli and his sons, and Samuel was growing old, his own sons more like Eli's than he cared to admit. He had judged Israel faithfully for many years, but the elders were clamoring for a change, insisting Israel needed a king like the other nations of the world. This demand for a king seemed to Samuel like more evidence of their waywardness. This stiff-necked people were impossible to lead, always so certain they knew what was best for them. So Samuel railed against the idea until the people became so adamant that he made it a matter for prayer. He heard a surprising answer from the Lord: "Samuel, listen to all that the people are saying to you; it is not you they have rejected, but they have rejected me as their king. As they have done from the day I brought them up out of Egypt until this day, forsaking me and serving other gods, so they are doing to you. Now listen to them; but warn them solemnly and let them know what the king who will reign over them will do." So Samuel described in frightening detail all the demands a king would place on them—drafting their sons and daughters to work and die for him, devouring the fruits of their labor, requiring so much that they would feel enslaved by him. But the leaders insisted, "We want a king over us. Then we will be like all the other nations with a king to go out before us and fight our battles." So God gave them a king named Saul, a man who stood a head taller than most other men, yet a man who was no better at following the Lord than they had been. This was the king Samuel had to anoint. The king he had to guide. The king he finally had to pass judgment on, delivering a message any man would fear to render a king—that God intended to tear the crown from him and give it to another man. Then the Lord told Samuel to fill his horn with oil and go to Jesse of Bethlehem, because one of his sons was to be king. Though Samuel feared Saul's wrath if he were to anoint a new king, he did as the Lord commanded, and as soon as he saw Jesse's eldest son, he was certain he had found Israel's next king. But the Lord thought otherwise, saying to Samuel, "Do not consider his appearance or his height, for I have rejected him. The LORD does not look at the things man looks at. Man looks at the outward appearance, but the LORD looks at the heart." Six more of Jesse's sons passed before Samuel, but each one was rejected. And then came David, the youngest of Jesse's sons, a shepherd boy, as strong and solid on the inside as he looked on the outside. Samuel took the horn and poured the oil over David's head, anointing him king in the presence of his brothers. Years passed before David finally ascended to the throne of Israel. By then Samuel was dead. But the man who had been an answer to his mother's prayer and who had been dedicated to God in a special way for the whole of his lifetime had fulfilled God's purpose, helping Israel make the transition from the chaotic period of the judges, when every man did what was right in his own eyes, to the period of the kings of Israel, when the Lord God searched for a ruler who would be a man after his own heart. Praise God: For speaking to us. Offer Thanks: For the way God has revealed himself to you. Confess: Any failure to listen to what God is saying. Ask God: To help you listen for his voice. Can you imagine how Peter’s heart raced as his feet ran to the empty tomb? I wonder what he was thinking as he kicked up the dust. Would he be ashamed to face Jesus after denying that he even knew Him? Would he be grateful for another chance? Would Jesus even want to see him? 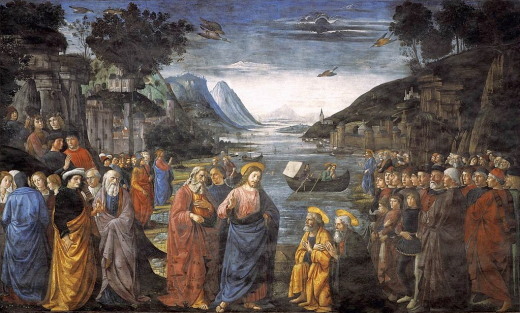 After Jesus had appeared to the disciples and to many others, life seemed to go back to normal. Peter and John returned to what they had always done—fishing. One morning, as the sun rose over the horizon, their nets remained empty. He said, “Throw your net on the other side of the boat and you will find some” (John 21:5-7). As the nets began to fill, John remembered a similar incident that occurred three years earlier, and he realized the man on the shore was Jesus. Peter jumped into the water and swam to shore while the others hauled in the miraculous catch. Jesus said, “Feed my sheep” (John 21:15-17). I don’t know what sins you’ve committed in the past…but God does. He is ready and willing to forgive you of every thing you’ve ever done. Failure is not final. Failure is not fatal. All you have to do is ask. Heavenly Father, I come to You today confessing my sin of ___________. I ask that You forgive me for _______________. Thank You for forgiving me, just as Your Word promised. Thank You for wiping my slate clean with the cloth of grace. Have you asked God to forgive you of your past sin? The fact you are receiving this Daily Devotion means that you -- or someone close to you -- is familiar with the computer. That being said, in all probability, you -- like most of us -- want it to do what you ask, and then go sit in the corner until you need it again. 2. you simply don't have the time to read all that stuff. Indeed, the researchers at Carnegie Mellon discovered it would take the average American 76 work days to read all the computer stuff they agree to each year. 1. They can use any of the information they get about you -- from your timeline, your account, your messages, your stories, as well as things you write but never send. 2. They can sell your information you other companies. 3. They can track all the places you visit when you are surfing the web and are logged into the site. 4. With their partners, they can keep track of everything you buy ... and most things you want to buy. 5. They have developed the ability to track down where you are. 6. They have, when asked, shown a willingness to share that information with the government. Now the idea of having someone following you around 24/7 is a bit disconcerting to most people. The thought of having someone looking over my shoulder all the time and gathering up information about me which can be sold is scary. There is only one Person I consider to be trustworthy enough to know me that well and that is the Lord. We can trust the Lord because of who He is. After all, what other person in this world would look at us and then, having seen the darkness of our hearts, would still continue to love us? The Lord knows us and continues to love us, and He uses His knowledge not to sell us something, but to give us the forgiveness and salvation which comes through Jesus' sacrificial and substitutionary life, death, and resurrection. THE PRAYER: Dear Lord, even before I was born, You knew me. I give thanks that Your perfect love has changed my life both here and in eternity. By Your grace, may others grow to appreciate and put their trust in the Redeemer. This I ask in the Savior's Name. Amen. 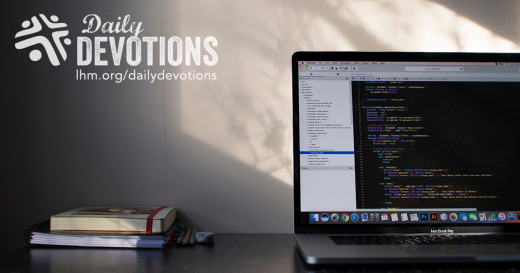 The fact you are receiving this Daily Devotion means that you -- or someone close to you -- is familiar with the computer. Por tanto, vayan y hagan discípulos en todas las naciones. Había una vez una familia muy pobre que nunca tenían dinero suficiente para comprar regalos para sus niños. Pero un día, los padres decidieron comprar una bicicleta para el hijo mayor. Era un regalo caro que el niño cuidaba muy bien. Su hermana menor también quería usarla, así es que le enseñó cómo sentarse, cómo pedalear correctamente y cuál era la mejor forma de manejar sin chocar contra nada. Para el niño hacer todo eso era un gran desafío, pero su hermana estaba encantada de que compartiera con ella su regalo, cuidándolo como si fuera propio. Los cristianos hemos recibido el mayor regalo imaginable: el amor de Dios el Padre y el perdón de nuestros pecados a través de la muerte de su hijo Jesucristo. 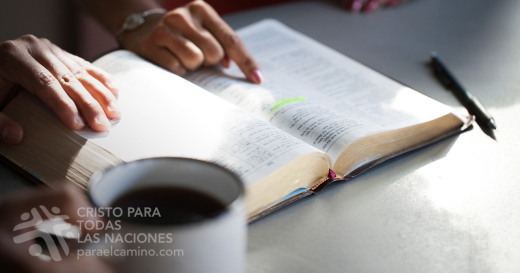 Nosotros también tenemos desafíos en nuestras vidas: tenemos que alimentar nuestra fe leyendo y estudiando la Palabra de Dios y tenemos que compartir esa Palabra con quienes aún no han recibido las buenas noticias de la salvación que nos da Jesucristo. En Mateo 28:19a Jesús dice: "Por tanto, vayan y hagan discípulos de todas las naciones..."
El niño de nuestra historia compartió su preciado regalo con su hermana para que ella también pudiera disfrutarlo. 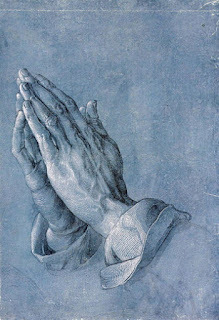 Aunque es triste reconocerlo, a menudo nosotros hacemos lo contrario, guardándonos para nosotros mismos el regalo de la gracia y misericordia de Dios. El mandato de Jesús en Mateo 28:19 es claro en cuanto a la importancia de nuestra tarea y de la misión de la Iglesia. Compartamos, entonces, su regalo con quienes nos rodean, para que muchos más tengan la oportunidad de conocer a Jesucristo y así disfrutar de la gracia y el amor de Dios, y de la vida eterna junto a él. ORACIÓN: Padre celestial, a través de tu Espíritu Santo ayúdanos a llevar a cabo la misión que tú nos has encomendado de compartir tu amor y tu esperanza con los demás. En el nombre de Jesús. Amén. Одного разу я дві години провів на виставці картин під назвою “Батько та два сини: мистецтво прощення”, де всі полотна були присвячені притчі про блудного сина (Лк. 15:11-31). Особливе враження на мене справила картина Едварда Рояса “Блудний Син”. На полотні був зображений неслухняний син, який у лахміттях, з понуреною головою повертався додому. Позаду – дорога, що вела до смерті; попереду – дорога до батька, який вже вибіг йому назустріч. Внизу полотна були написані слова Ісуса Христа: “А коли він далеко ще був, його батько вгледів його, − і переповнився жалем” (Лк. 15:20). Я ще раз глибоко усвідомив, як незмінна Божа любов змінила моє життя. Коли я пішов від Господа, Він не відвернувся від мене, але продовжував чекати, немов той батько, що виглядав на дорогу – коли ж повернеться його син! Божа любов дається даром, але її часто ігнорують. Проте Бог не забирає її. Всі ми завинили перед нашим Небесним Отцем, але Він чекає на нас, готовий ласкаво прийняти у Свої обійми. Так батько зустрів свого заблудлого сина. “Будемо їсти й радіти, – сказав він своїм слугам, – бо цей син мій був мертвий − і ожив, був пропав − і знайшовся!” (Лк. 15:23-24). Господь і тепер радіє, коли хтось повертається до Нього – і це справді велика причина для святкування! Отче, навчи нас, приймаючи Твою любов і прощення, дарувати їх іншим у Твоє Ім’я. Божа любов до нас – незаслужена й незмінна. Божа любов дається даром, але її часто ігнорують.